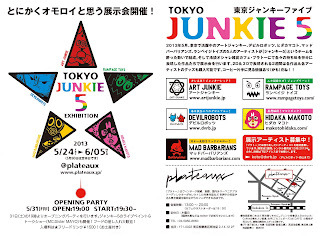 Today is the day of the TOKYO JUNKIE 5 Exhibition Opening Extravaganza! 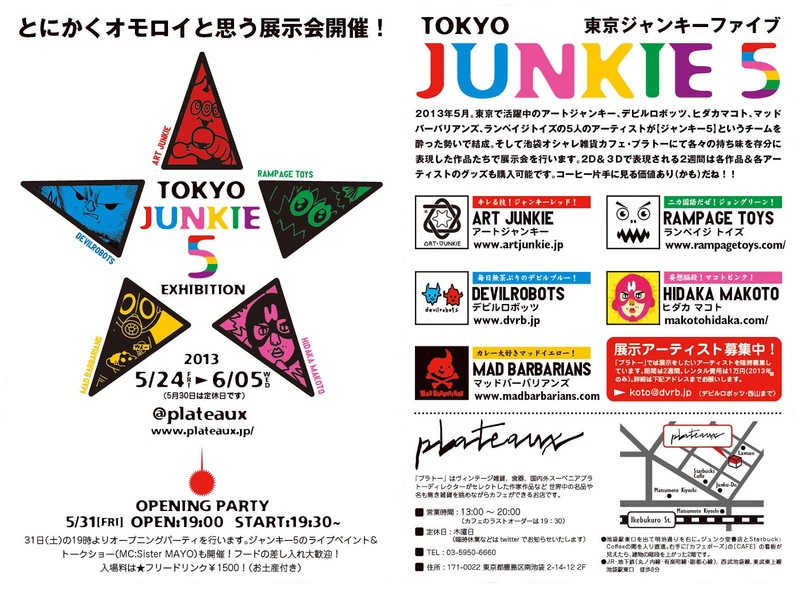 Come one out if you live in Tokyo! 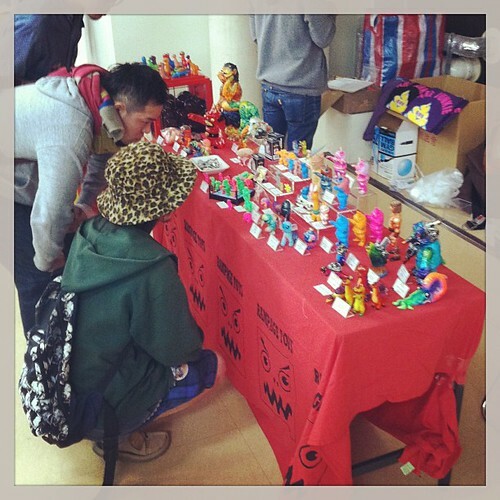 Food, Drinks, Art, Toys, T-shirts and loads of other great Awesomeness - as well as all 5 of the Artists (including me!) in attendance, and MC Sister Mayo! 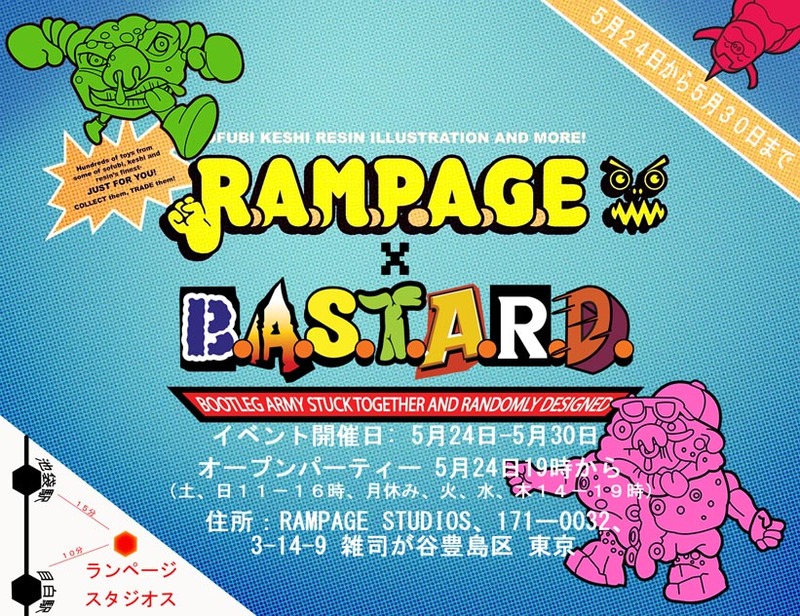 This Friday sees the opening of the Tokyo B.A.S.T.A.R.D.s Exhibition at RAMPAGE STUDIOS. 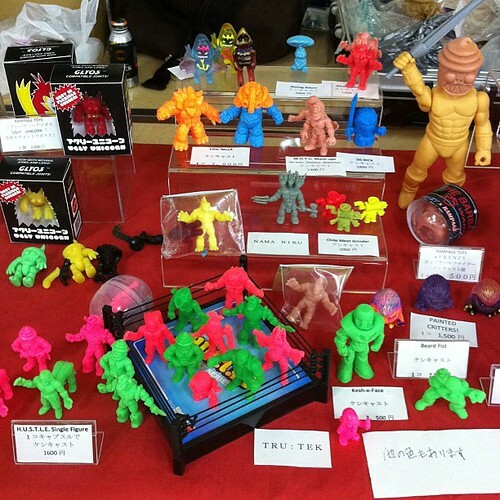 The show will feature customs and bootlegs from prolifically (is that a word?) awesome Brittish design duo TRICLOPS Studio! These guys sent over a box of downright AWESOME, and I'm looking forward to getting it all set up and photographed this Friday morning. 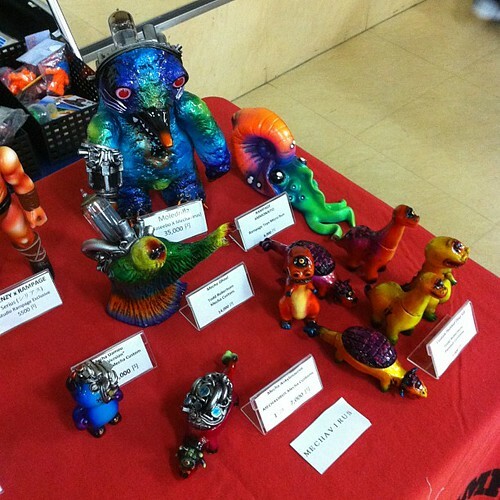 -17 DIFFERENT resin mini figure designs in all sorts of colors that make you wanna eat them! 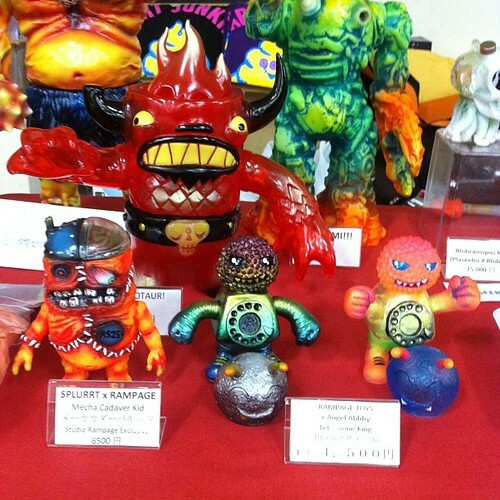 There are 3 NEW figures as well, including a collaboration with me, RAMPAGE TOYS! 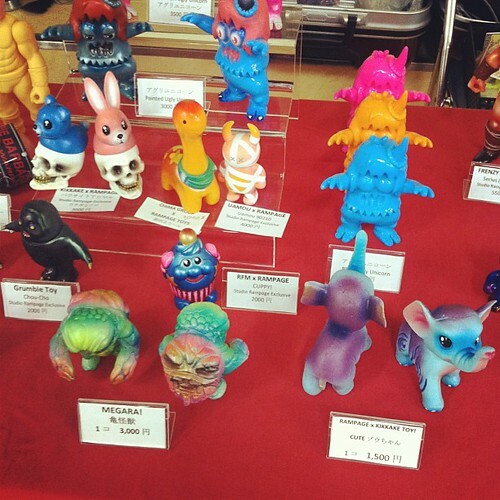 -Some other new stuff and previews of even other new stuff in the studio. I'm running around like a chicken with no head at the moment, but here are some quick pics to get you psyched. FYI - sales will be in-store only through the weekend. On-line sales start on Monday, 5/27. DEMON DOGS! A little mash using some Frenzy Heads and a Bronto-clops body. haha! It's been a week and a half since Superfestival came and went! Time sure does fly! KESHI!!! Great stuff from Nama Niku, Eric Nilla, hellopike and Tru:Tek. Thanks fellahs! The NEW GLYOS compatible FULLY ARTICULATED one inch Ugly Unicorn!